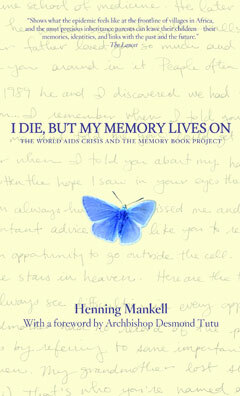 Henning Mankell, internationally famous creator of the bestselling Kurt Wallander mysteries, here offers a nonfiction fable about a heartrending tradition spawned by a major health crisis: the invaluable Memory Book Project, which gives those dying of AIDS an opportunity to record their lives in words and pictures for the children they leave behind. In Uganda, Mankell finds village after village populated only by children and the elderly—those left behind after AIDS swept away an entire generation. These slim, intensely personal volumes can contain words, pictures, a pressed butterfly, or even grains of sand as ways to represent the lives lost to this devastating plague. Excerpts from Ugandan memory books appear throughout I Die, But My Memory Lives On and, together with Mankell’s narrative, they tell stories of individual lives while sounding a powerful warning about the threat of AIDS. Featuring a foreword by Archbishop Desmond Tutu, the book includes an appendix listing AIDS organizations and resources. A portion of the book’s proceeds with be donated to AIDS charities in Africa.